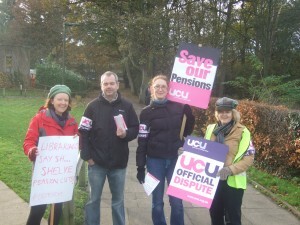 There were UCU pickets around the UEA entrances this morning raising awareness of the pensions dispute, supported by the SU. Later we joined 100s of strikers – teachers, physios, civil servants to march from City College to City Hall . Thanks to all who supported the action today. UCU has put together a useful statement ahead of tomorrow’s strike. 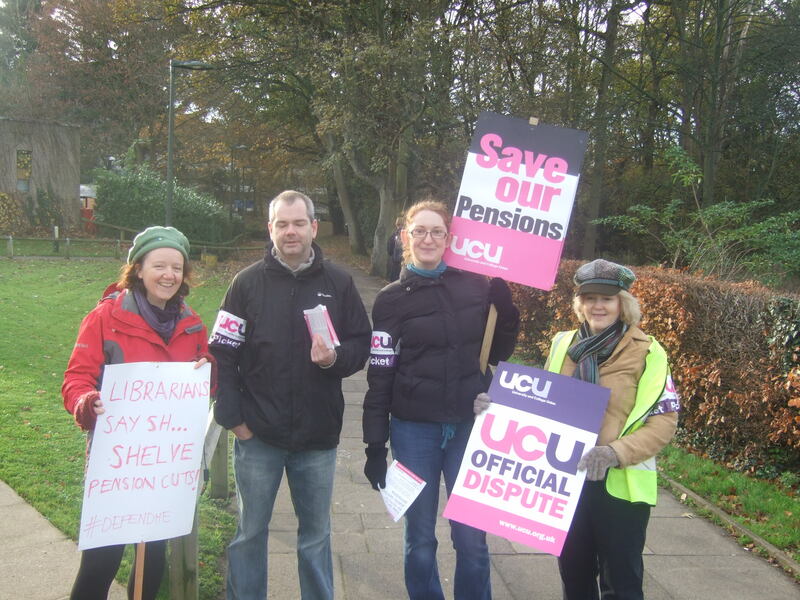 If you are not a member of UCU but are an academic, academic-related or postgraduate research student you can join UCU here. Find other members in your department who are going to be on strike – can you march together? GET INVOLVED ON NOVEMBER 30TH! 11.00 assemble City College, Ipswich Road. 2.30 post rally discussion at United Reformed church, Princes Street. On Monday 28th November, members of the UEA Council will decide the fate of the School of Music. Council will decide either to shut the school, or to accept an alternative plan: an offer by the Royal Musical Association to send in – for free – a team of 4 top academics with a proven track record of running successful schools to properly assess the School of Music, granting the School a period of reprieve while the review is undertaken, then to follow through the RMA panel’s recommendations. We are anticipating the decision from Council at around 4pm. 1. Public rally Wednesday 23 Nov, 1-4PM, LCR. Rally against the closure of the music school with speakers and music. Come and make your voice heard! We will be gathering in the square at 9.30am, before heading to The Registry to arrive at around 9.45am. Just before 10am when Council members are due to arrive, a klaxon will sound and silence will fall. Once Council members are in the building, a second klaxon will sound and normal proceedings will return. There will be live music in the Square for the rest of the day. The Save UEA Music campaign will also be discussed at Friday’s UCU General Meeting, at 1PM in Arts 2.01. Jonathan Impett (MUS) will speak about the campaign.